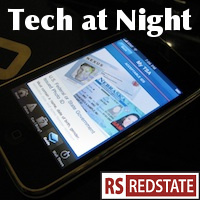 Tech at Night: Darrell Issa gets clever against SOPA, Internet Sales Tax looms Tech at Night: SOPA and PROTECT IP in yet more trouble. We need to constrain the FCC. Have some more SOPA. We still need to kill the bill and primary the offenders, after all. The bill by Lamar Smith (with strong support from Chris Dodd) is a real problem. Forbes says it relies on ignorance and fiction not facts, understanding, and reality. WordPress developers have come out against it, too. Arguments continue over unlicensed spectrum. Look, I’m open to the argument that it’s useful, but if you really want it, legislate it. Don’t just give the runaway FCC the authority to do what it wants without Congress getting to say anything. Google drops Twitter, pushes its own service. Surely they can see how bad that looks, that they’re using their search service to promote their own networking site at the expense of the vastly more popular competitor. How is it delivering superior search results to drop Twitter? Clear conflict of interests there. LightSquared meets with the FCC again, as the FCC continues to stonewall Chuck Grassley on his simple request, even though it means blocking the new FCC nominees. Hmm. Is it time to knock the FCC down a peg on censorship? Particularly in an era of cable and the Internet? Competition for top level domains may be set to go, as ICANN will open the floodgates to competitors with .com, .net, and the rest. Yes, ICANN and the registrars want this because they know some suckers will buy up a bajillion names forever, but that’s their choice. What this will do is create more choices for all of us, so I support it.